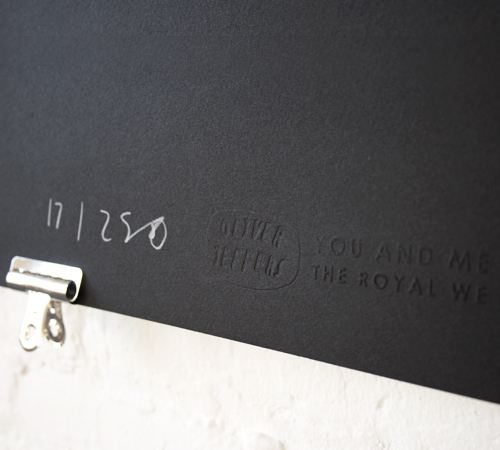 Signed screen printed on black Somerset 280gsm and limited to an edition of 250. 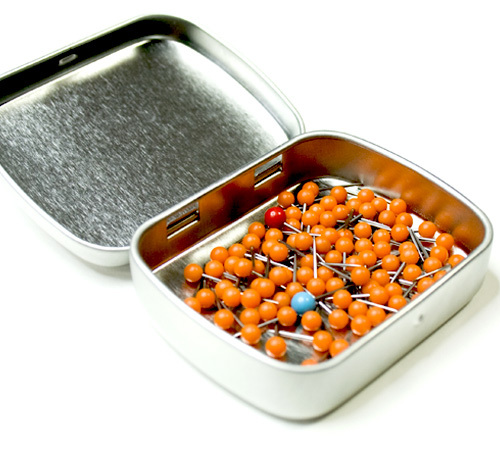 102 pins in a tin, 4 bulldog clips and nails. 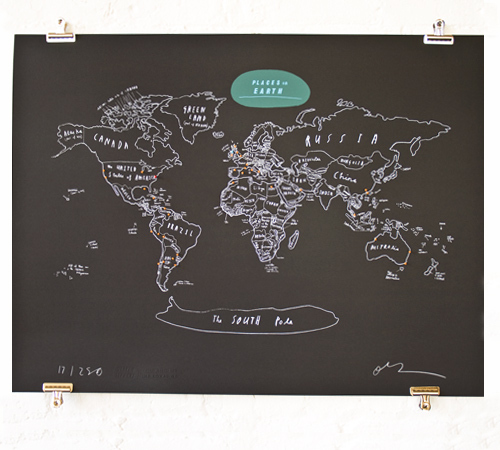 Created exclusively for the Royal We by Oliver Jeffers, this limited edition signed print is a hand drawn map of the world. The whole world. With pins. But it isn't to scale, because that would be very hard to ship. Screen printed in Brooklyn using white ink on black paper. 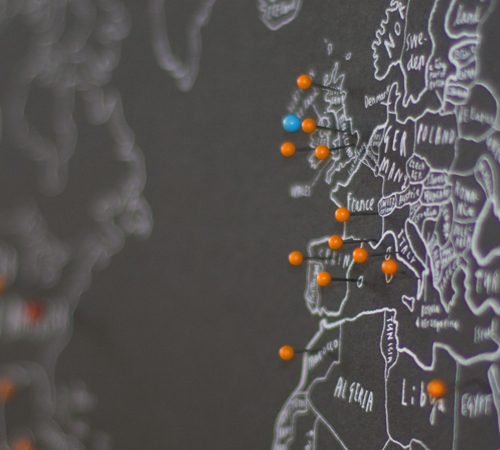 Each print comes with 102 pins, 100 are orange, 1 is red and 1 is blue. Red is for headquarters, blue if for your next target.